All Indiana CDL holders are required to be medically qualified to drive a CMV by the means of a valid DOT medical certificate. You must meet the Indiana state medical certificate requirements and endorsements. The self-certification process requires you to certify to the Bureau of Motor Vehicles the type of commercial motor vehicle you operate, or intend to operate, as well as acknowledge that you are required to meet the medical requirements for that CDL. Do a Self Certification online. You will need to create a “myBMV” account, if you do not already have one. You do not need to submit your medical certificate when you self certify. This information is already on file from when you where issued your CDL. You may use the automated system to verify that your medical certificate is on file by calling 888-692-6841, option number one (1). Drop document off at any BMV branch. Contact the Indiana Bureau of Motor Vehicles at 888-692-6841, option number one (1). These services are available 24 hours a day, seven days a week. You will need to confirm with your local DLD for the states variances regarding your situation. Then when you go for the medical card examination you’ll have the need documentation ready. Check with your local DLD. You would fall under the states variances more so than FMCSA. If you need a medical card according to the state, then make sure the examiner understands your states laws and variances. I have a 12000 GVWR truck in Indiana and do not require DOT numbers because we only haul our own property within the state. Does Indiana require my drivers to get a DOT physical? The Federal gov’t says you need a DOT physical if you are a “commercial driver” involved in “interstate” commerce with GVWR over 10000lb. You need to check with your local drivers license department for the best answer. Most states are wanting a valid medical card, but some do not require one for situations like yours. If your company does random drug testing you are toast. Hydrocodone is a class 1 controlled substance. It is a derivative of codeine which shouldn’t be a big deal but it is. My license has been downgraded causemy medical card expired. I just went and got a new physical and passed they now send it to the state on there own how long will it take for my license to be upgraded I’m in indana. Do you have to carry the medical long form when driving a CMV or just the certificate in the state of Indiana? I carry CDL licenses in Inpls in…I just took my DOT phycial n was informed that bcuz my BMI was 2 points over I have to have a sleep study…. I was given a 90 day card to have the test done…my problem is having hard time finding a clinic also not sure of the cost n if insurance will pay…? Is what can I do if I can’t get the test done??? BMI only is not a condition that requires a sleep study. Go to this link to better understand the issues regarding sleep apnea screening. I’m going to retire and want to know can I put my CDL on hold if I don’t drive anymore. But may want to later in my life. You’ll have to check with your local drivers license department. They may allow you, while you’re not driving, to change your self-certification to “intrastate excepted” so you don’t have to have a current medical card. Or they may have a period of time where you can downgrade your license, then reinstate your CDL again later. Only they can give you they details of how they can help you with their state process. I have a Kentucky cdl medical waver intrastate driver’s license living close to Indiana, how do I cross the state line, what do I need to do. You need to have an interstate CDL medical card and drivers license. A lot depends on what class driver you are and why you have been limited to intra-state only. I just recently took a eye exam to have my eye exam waiver signed. What are the requirements to be able to drive in Indiana? Does Indiana require a medical examiners card to be carried for a non cdl licensed intrastate driver of a vehicle or combo weighing less than 26,000 lbs? I live in Indiana, I went for a physical in may and only had 1mo. report for my sleep apnea, he said I needed 3 mo. So he gave me a 3mo. card and said get a 3 mo. Report and bring it back before this expires and he will give me the full year card w/o retaking the physical, I did and now they say the dot changed this and now I have to retake the physical, sounds like they make this up as they go, are they correct? Based on the new FMSCA forms, there are no extensions. Each time is a new physical exam and a new certification that overrides the previous one. Your new card will be a full year starting from your new exam date. I went for a dot CFL physical and told them I had mild neorupathy in my feet. It’s so mild I don’t take any medicine for it. The doc told me I was disqualified to get a CD’s. Is there an appeal process or can I look for a different Doctor? Go get a second opinion elsewhere. Have your primary care doctor fill out a medical release form explaining your situation and have that in hand before your next DOT exam. I live in TN which does not require a dot medical card for driving a box truck under 26000 lbs. I am going to work for a company across the state line in KY and the company is based in Indiana. Ky will not grant me a waiver because I live in TN and tells me to contact TN Dept of Licensing. TN tells me they can’t issue a waiver because they only require a dot medical card for CDL drivers which I will not be. Which state rules and what must I do to get a waiver that TN says I don’t need? Sounds like your driving category will now be considered “interstate” rather than “intrastate”. 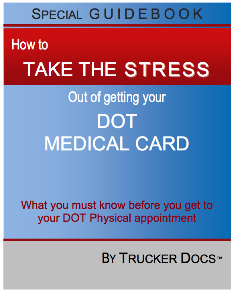 Interstate drivers fall under FMCSA regulations and need a federal medical card. You will also need to self-certify your driving category. Not sure what waiver you are talking about. But, if you need a waiver for medical qualification, then as an interstate driver you’ll need a Federal waiver. You should still be able to drive with a TN license, so talk again with the folks at TN drivers license department about self-certifying “interstate”. I am an employer in Indiana. We recently hired a truck driver for a box-truck under 26,000 pounds. He has his physical which I am submitting to the state BMV. Is there any other reporting I need to do? I’m in Indiana and I just had a driver go for a re-certification physical .. He was told he needed to have a TB test before the paperwork could be filled out. Is this something new? I had drivers go just a few months ago and this did not come up. Also, our drivers are in a random pool to be drug and alcohol tested. Do they need to be drug and alcohol tested at the time of the physical also? Sounds like someone is over reading the FMCSA guidelines. Urine testing at the time of the examination is for proper kidney function only. There is no drug or alcohol testing, unless the company requests it. And TB testing before you even see the examiner or fill out paperwork has nothing to do with FMCSA guidelines. After an examiner sees and evaluates a driver, the examiner may ask for further testing, but before hand???? Look for another facility to do your testing if this is what you are getting right now. In most states, they are requiring a medical card to operate a commercial vehicle – that is any vehicle that is being used for commerce. But check with your local state drivers license department for a confirmation. I am a vending route driver and drive a 26ft. box truck only in the state of Indiana. My company recently required me to take a DOT Physical. I am an Insulin Dependent Diabetic (Type II Diabetic). The physician who did my physical wrote temporarily disqualified on my physical form. She referred me to the FMCSA website and told me to apply for an Insulin Waiver. I read a paragraph on the website that said the FMCSA waiver/exemption does not apply to intrastate drivers. With that statement I then am confused of how to proceed with obtaining a DOT card. Does the state of Indiana offer a waiver program. If so where do I obtain the forms and information to apply for this waiver. You really want to check with your state drivers license department. In most cases the state has what you need. You are an intra-state only driver and your drivers license department will steer you in the proper direction. The CME is doing a DOT physical for an interstate driver and is not taking into consideration your needs or requirements. I was told by my doctor today because my BP was 144/80 I would get a three month card, but because it expires after December 22 I would have to have a whole new physical.. I work for a doctor and we have many CDL licensed patients. Most are on suboxone, but for pain management and not opioid dependence. Can they be on suboxone even though its considered a controlled substance? You need to have the doctor explain the need and usage of this medication and how long they have been using suboxone. Have there been any ill effects or side effects on the driver? Then if the CME feels that the risk is extremely low or non existent, then he may issue a one year medical card. The driver will test positive on his DOT drug screens and will need to explain to the MRO what drugs he is taking and have a written prescription from the prescribing doctor to confirm the facts. What about the medication Gabapentin, is a driver permitted to use this medication and continue to drive and pass DOT? It all depends on why this medication is being used. And you would need a medical release from your doctor. Can a driver be certified to drive interstate and pass DOT physical while being prescribed and taking adderall? It all depends on why you are taking this medication. It has effects that could impair your ability to operate a commercial motor vehicle. So there are going to be lots of questions about its usage. A medical release will be required from your prescribing doctor. My husband recently went in for his DOT physical. He is a type 2 diabetic and controls it with medication. He did not pass his physical because of quite a bit of sugar in his urine. According to his PCP one of his medications (farxiga) is the cause and the medication is doing what it is supposed to do. The doctor granted him a 3 month extension (his blood pressure was also high) and asked him to get blood work done because of his sugar. The doctor also stated he needed to see what his A1C was. Is it possible for him to get another extension and why does the doctor need to know what his A1C is? With the new medications that are being used with the treatment of diabetes, we have no way to confirm or deny that the sugar is under control without a recent A1C. That’s why the CME is requesting one. As far as another extension, you’ll need to check with the original CME on that. Download a medical release form and take it to your primary doctor. Have him explain the needs and usage of the medications that you are taking. 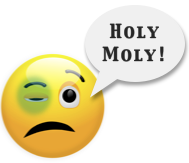 That answers most of the questions that the CME will have regarding a medication that you have been taking for years. Each state’s process is different. You’ll need to check this with Indiana BMV. If someone wants to measure your neck, get up and walk out. There are no new rules regarding sleep apnea guideline. If I have an Indiana intrastate CDL do I still fall under the new sleep apnea DOT regulation ? There are NO NEW RULES. So if you were driving before, just continue what you have been doing. See our blog articles on Sleep Apnea to better understand this issue. My son was told that he now has to see a PCP and get a sleep apnea test within 3 months because the female doctor he saw tonight said that he is overweight and must be falling asleep at the wheel. He has lost weight over the last 2 DOT ‘s he has had done and exhibits no sign of sleep apnea. I know this because I am a LPN. Can they make him do that? Sleep apnea screening is a much misunderstood issue in the world of DOT medical certification. See our blog posts on Sleep Apnea to better understand what is going on, and know your rights. How much time does a CMV driver have to get his physical to the state after its done. Best bet is to get your medical card renewed a few weeks before the old one expires. Then submit your information to your state DLD right away. Then you’ll always be sure you’re okay, rather than play Russian Roulette with your CDL. The processing time will differ from state to state depending how busy or backlogged their system is. The states also differ on their downgrading rules. You’ll have to check with your state drivers license department and even then you may not get a ‘days’ answer to your question. If a drivers DOT physical expires does his self certification or endorsement expire also. And if it does is there a fee for recertification? I heard that the state of Indiana requires CDL carriers to get their DOT physicals by a doctor only. They will not accept DOT physicals by nationally certified medical providers who are nurse practitioners, physician assistants or chiropractors as FMCSA allows. Is this true? If so, why does the state of Indiana have these professions on their certification listing for their state? You are correct. In Indiana, professionals in these categories are already certified and listed on the NRCME database. I would question the originator of this statement, rather than the state of Indiana. They may have received confusing information. It’s true that the state of Michigan does not certify DCs, although they do certify APN, DO, MD, NP, and PA. Your response is incorrect. I am an advanced practice nurse (NP) and have performed over 20,000 DOT physicals in the past 12 years. I am nationally board certified and am totally qualified to do these exams. Better check your facts sir. 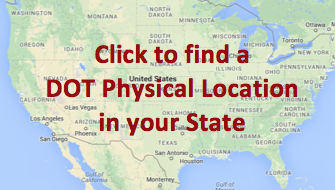 That’s exactly what we stated, that these professionals are certified to perform DOT physicals in Indiana. I have had a CDL for nearly 30 years now. I drive a straight truck within the state of Indiana. I take Tramadol for moderate osteoarthritis and have taken it for approximately 10 years. I understand that it’s classification is changing to a narcotic. Will this disqualify my CDL? If so is there a waiver that I can get? As a driver driving intra-state only, I don’t believe you will have any problems. The change is mostly going to affect over the road drivers in 18 wheelers. I would just check with your state CDL/DMV and confirm that that is true for your state. We have a new driver and I would like to verify that his DOT medical card is valid. Do you have a online site that I can go to and verify this information. We are located in Rosemount Minnesota. The best way to verify, is to call the doctor at the phone number on the driver’s medical card. how long do i have to get a physical in to state after the dead line expires?